OAKLAND, Calif. – Police arrested some 400 demonstrators Jan. 28 in response to the latest attempt by Occupy Oakland activists to occupy a vacant building and establish a new encampment there. 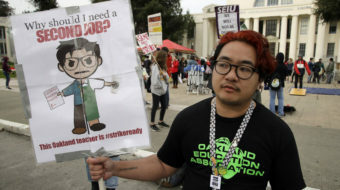 Supporters said during an action they called “Move-In Day,” a crowd of between 1,000 and 2,000 demonstrators marched to the Henry J. Kaiser Convention Center, near downtown, intent on turning the long-vacant building into a new encampment and social center. There they were met by police in riot gear. Oakland police said the crowd was ordered to disperse when some protesters started destroying construction equipment and fencing. Police said they responded with tear gas and beanbag projectiles after protesters threw bottles, rocks and other objects at them. Protesters said police also used rubber coated bullets and concussion grenades. Marchers then converged on a downtown park, and, ordered to disperse there, ended up at a YMCA on the edge of downtown, where many of the arrests took place. The protest’s final stop was City Hall, where some demonstrators broke in, cutting electrical wires, smashing glass cases holding a children’s art display, and burning a U.S. flag. Police said three officers, and one protester, were injured – a claim disputed by the protesters. It was the first such action since an attempted building occupation failed early in November, after being met with concerted police action. Occupy Oakland’s original encampment in front of City Hall was violently evicted Oct. 25, and peacefully removed a second time Nov. 14. 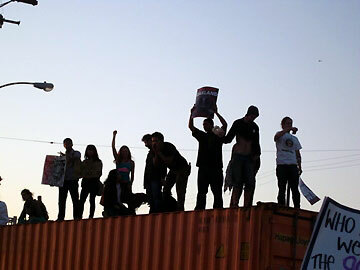 On Nov. 2 and again on Dec. 12, the Port of Oakland was shut down by protests. 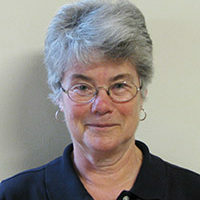 Earlier in the week, Occupy Oakland had warned Mayor Jean Quan, the police and the City Council they planned to take over a building on Jan. 28, to serve as a “social center, convergence center, headquarters, free kitchen, and place of housing.” Though they did not specifically name the Kaiser Center, discussion had focused for weeks on the likelihood of a takeover attempt there. Occupy Oakland had also threatened that if thwarted, it would consider “occupying City Hall indefinitely,” shutting down the Port of Oakland including the airport, and calling on the hacker group Anonymous for support. 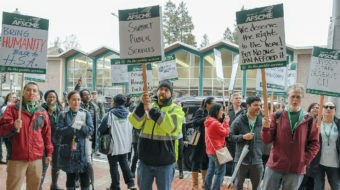 But others have pointed to the estimated $5 million the protests have cost the city at a time when its budget woes are already so severe that city workers, many of whom are people of color, are losing their jobs. Some Occupy activists, meanwhile, threatened to sue the police, contending their arrests were illegal because no order was issued to disperse.